Even though the roof is sometimes one of the forgotten features of a building, it is still one of the most important. The roof keeps the building protected from the natural elements and even plays a role in the energy efficiency of a building. 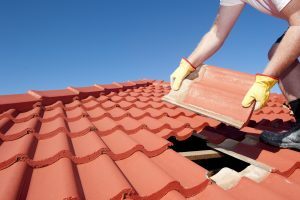 In order for the roof to effectively protect the building, any damage it sustains must be repaired as soon as possible. There are many factors that can cause damage to a roof including weather conditions like wind and hail, animals, tree branches, and other debris. If the damage is not quickly addressed, it can become worse and lead to water leaks which can cause even more serious damage. It is important to contact a professional roofing contractor immediately to deal with any damage to your roof. Reliable Roofing is a trusted roofing contractor that provides complete roof repair services for commercial buildings in Crystal Lake, IL. Our technicians are highly trained, licensed, and bonded to provide any type of repair work needed for commercial roofing. We are a proud member of the National Roofing Contractor’s Association (NRCA) and committed to delivering high quality, ethical, and cost-effective repair work. All of our work is backed by a warranty and an insurance policy that covers up to $10 million. The technicians of Reliable Roofing are trained and equipped to provide a full range of roof repair services from minor damage and leaks to restoration. We have professional relationships with many of the roofing industry’s top manufacturers so we can use the best available products to complete our repairs. We always respond within 24 hours to customer requests to address the damage before it gets worse and creates bigger problems. Hail and Storm Damage Repair: Adverse weather such as wind and hail are among the leading causes of roof damage. If the roof is damaged during a storm, it may let rain into the building which can result in even worse damage. Our technicians can identify and repair storm damage and help prevent leaks. Shingle Repair and Replacement: The shingles are the most common element of the roof to experience damage. It is important to repair broken shingles because moisture can get underneath the shingles and cause mold growth or water damage. We will find damaged shingles on your roof and either repair or replace them. Leak Repair and Prevention: Roof leaks are very common and they can lead to extensive damage, especially if they aren’t found right away. Our technicians will find and repair any leaks in your roof. Commercial Roof Repair: We can provide effective repair services for any type of commercial roofing. Roof Restoration: All commercial roofing types become worn out over time and lose their integrity. We can revitalize a worn-out roof with complete roof restoration. New and Existing Penetration Tie-Ins: Damage to the tie-in material around roof penetrations could lead to leaks and other problems. We can repair or replace damaged tie-in materials. Warranty Repair Work: We back our roof repair services with a manufacturer’s warranty. Any damage to your roof, no matter how minor, should be dealt with immediately to prevent leaks or more expensive problems. Our technicians at Reliable Roofing are ready to provide roof repair services for businesses in Crystal Lake, IL. 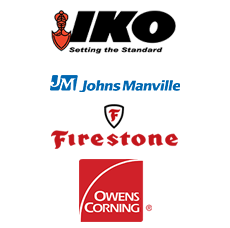 Give us a call at (815) 981-9801 and we will respond to your request within 24 hours. "We are all so impressed with the new roof on our church and the adjoining school! We will use Reliable Roofing every time we have a roofing need"
"Reliable Roofing has been my roofer for many years and their expertise, reliability and professionalism is why I will never use another roofer." "I appreciated the professional manner and all around cleanliness of the crew that put the new roof on our office."